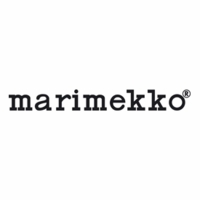 More about Marimekko Unikko Black / Pink Roosa Purse This Marimekko Unikko Roosa Purse is sure to become a daily essential favorite. It is made of 100% cotton and is the perfect companion for an on-the-go lifestyle, where you don't want to be weighed down by heavy bag. 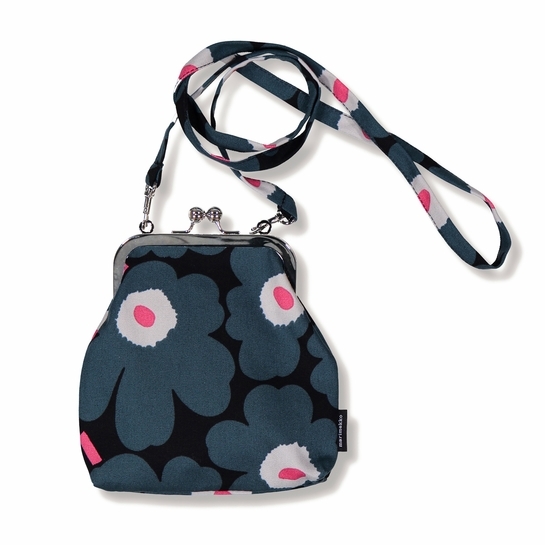 Maija Isola's poppy pattern makes a sophisticated statement in pink and black on the 100% cotton exterior. This purse features a metal clasp frame to keep your essentials nice and safe, and also features two metal clips on the side to take off the cross-body sling and place into a larger hand bag making it adaptable for any occasion.